We are moving to farming seasonally. Rather than of year-round breeding and birthing, we will focus on different aspects of farming throughout the year, allowing us to work on new and exciting projects. Below is a sample of plans we have for our future. We plan on creating a co-op whereby our members can continue to support our farm and eat our clean premium meat. More details to follow. 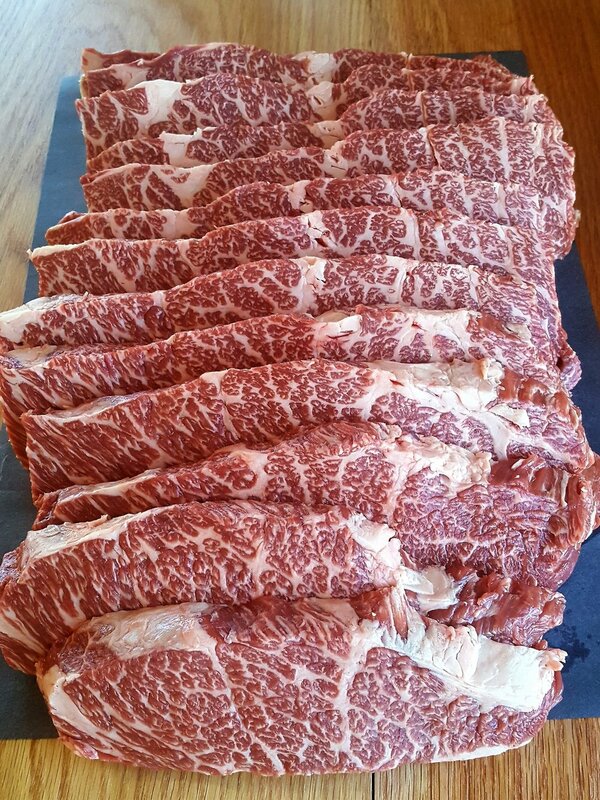 To prove the quality of our Wagyu-Angus genetics, we will grain-finish a select group of beef. We project it will meet the Japanese A5 marbling grading. Pictured above is our grass-fed and grass-finished beef, so imagine the potential for grass-fed and grain-finished! We are growing organic high-content CBD-hemp in our soil utilizing the no-till drill method. The plants are producing a minimum CBD content of 15%. To operate as a closed-loop sustainable farm with zero waste, we are feeding the trimmings to our hogs and they love it! 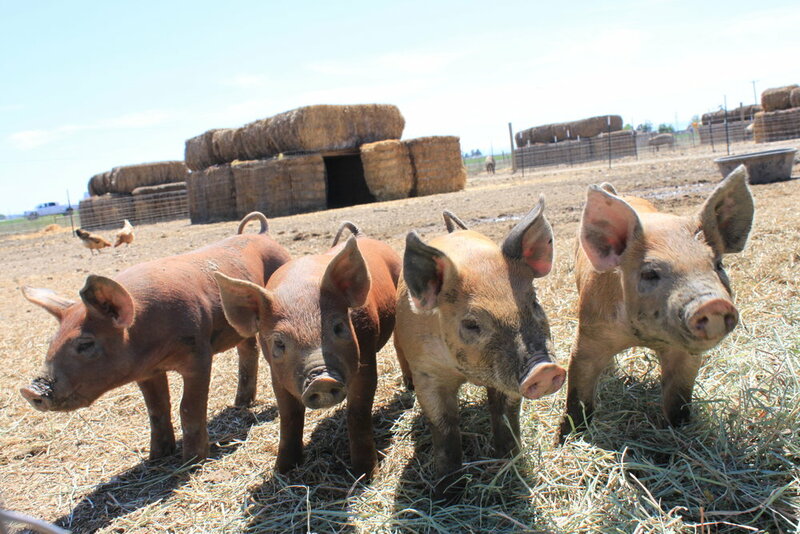 Learn about closed-loop sustainable farming, the creation of organic soil, year-round breeding, using chickens for pest control, beef and pork genetics, or just take the family to see where their meat comes from. We want to educate those who are interested in learning more about all aspects of our trade. We plan on having classes about a wide range of topics including butchery, sausage-making, the production of organic soil, animal genetics, just to name a few. We want to dedicate more time to dry curing meat to produce guanciale, pancetta, coppa, lomo, bresoala, and more. Having the most flavorful beef and pork to begin with means an even tastier end product. Stay posted for Pono's very own charcuterie. With the best protein in Central Oregon, it's easy to put together a delicious meal. Having food that was grown right there means getting the freshest possible. The green pastures and mountain views certainly don't hurt either.